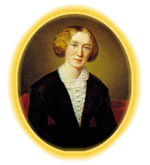 George Eliot claimed that Romla was written with her 'best blood', and her contemporaries certainly knew and appreciated the novel. Until late in the century Romla was even being regularly employed as a guidebook to Florence. But despite contemporary uses and accolades, the text has been largely overlooked by scholars, who have typically relegated the novel to footnotes and fleeting allusions. In response to this neglect, admirers of Romla have begurr to ask why it has attracted so little scholarly attention, given its thematic and theoretical abundance, its cultural and critical complexity. In the spirit of what we perceive as a growing enthusiasm for Romla, we decided to convene a group of scholars at the University of London's Centre for English Studies to revaluate this central Eliot text, and to consider why it might have been so categorically consigned to critical oblivion. The theme of the conference was thus 'Reviving Romla'. Professor Barbara Hardy - whose celebrated studies of George Eliot's fiction will be well known to Eliot readers - opened the conference with a reading of the affective and psychological complexities of Romla. Principally, she explored the relations between Eliot's uses of Florence as a setting for psychological events and the emotional life of the novel's characters, to reveal the subtle connections fashioned between outer and inner worlds. Excepting these moments, however, Hardy argued that Romla was ultimately a laborious text, too densely researched and obtrusively 'archeologized' to flow easily as narrative.